Ministers have proposed new guidelines to protect vulnerable passengers in taxis and private hire vehicles, including enhanced criminal and background checks for all drivers. The Department for Transport (DfT) said the guidelines would improve safety, with enhanced safety standards for taxi and private hire vehicles that would be consistent across the country. Proposed measures include recommending that councils require every driver to undergo enhanced criminal record and background checks. Cllr Simon Blackburn, chair of the Local Government Association’s Safer and Stronger Communities Board, said: ‘Councils have long-called for existing outdated taxi laws to be updated and strengthened so we are very pleased that so many of our recommendations have been supported in this consultation. 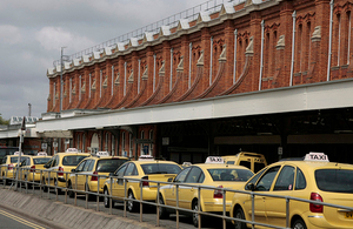 A consultation will run until 22 April and comes as part of the Government’s response to the Task and Finish Group’s report on taxi and private hire vehicle licensing, which made a series of recommendations in September. The Government has also pledged to legislate on national minimum standards for drivers, to establish a national licensing database and to look at restricting drivers operating ‘hundreds of miles away from where they are licensed’. As part of proposed minimum standards, the DfT said it will consider whether vehicles should be fitted with CCTV, using encrypted systems so that footage can only be accessed if a crime is reported.